T-minus 22 days until the US Open, and counting. Were you lucky enough to score yourself a spot in the lottery, or were you one of the many that missed out? If it&rsquo;s the latter, don&rsquo;t fret; NS is here to save the day with two last chances to gain entrance into the event that has catapulted many-a-pro skiers to superstardom. First, starting Monday, January 7, 2008 we&rsquo;re proud and extremely excited to announce the launch of the first ever Broadband UberOpen. In this one-of-a-kind online contest, anyone and everyone has the chance to compete, regardless of who you are or where you are. This is an online-slopestyle where we give you a list of features, in order, and you compile a video of your best tricks on each to form one full run. The top three spots will be voted on by you, our loyal members and readers. That&rsquo;s right, it&rsquo;s up to you who goes to the Open. Not us, or a panel of judges&hellip;you. Once the votes have come in and been tallied, the top three entries will score themselves a spot in the US Open, simple as that. 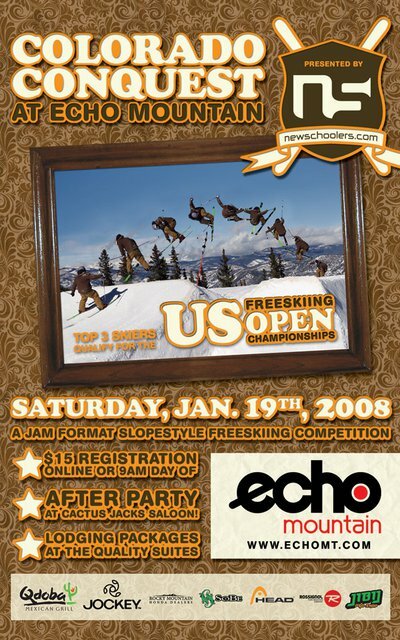 For those of you that are a little more geographically flexible and would like a chance to strut your stuff as a warm-up to the big show, NS is also proud to announce the 2nd annual Colorado Conquest at Echo Mountain, Colorado on Saturday, January 19th. 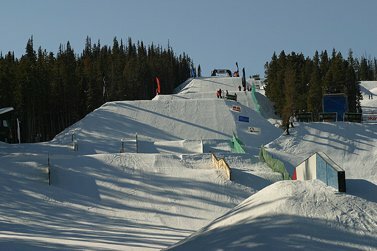 The event will be a jam format slopestyle contest with the top three skiers qualifying for the Open a week and a half later at Copper, and if last year&rsquo;s event was any indication, it will be one hell of a good time. Doug will be in attendance as the grand master of ceremonies again this year and there&rsquo;ll be a rockin afterparty at Cactus Jack&rsquo;s Saloon. It&rsquo;s $15 to enter and there&rsquo;s lodging packages arranged at the Quality Suites nearby. So there you have it, NS brings you the last two chances to grab yourself a spot to the Open, an event where the young and hungry go head-to-head with the best of the best and have a chance to step into skiing&rsquo;s biggest spotlight. Don&rsquo;t miss out!